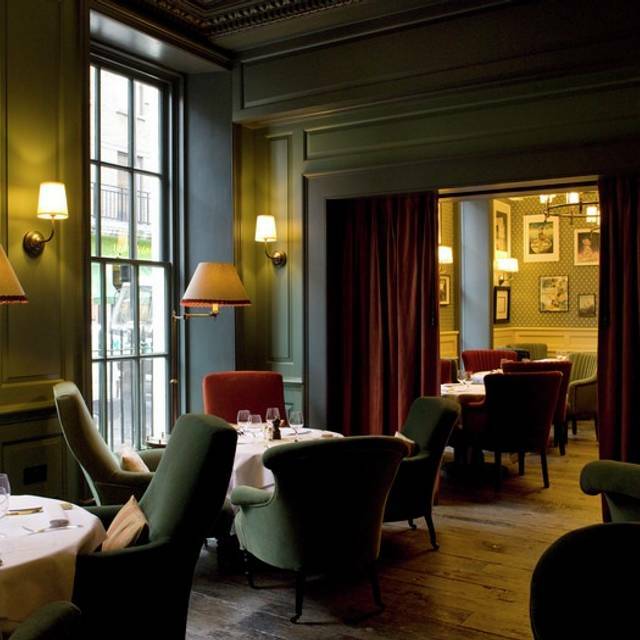 You must make bookings at least 5 minutes in advance of the time at Dean Street Townhouse. 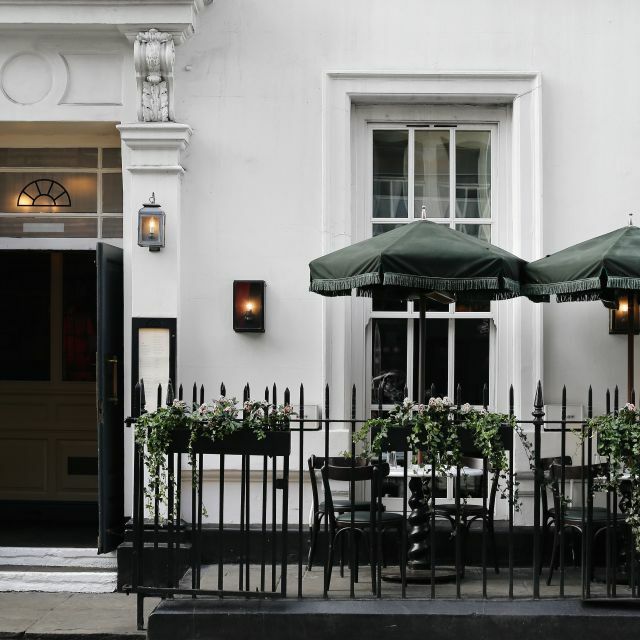 In the heart of Soho, Dean Street Townhouse occupies numbers 69 and 70 Dean Street, a pair of Georgian residences built by carpenter John Meard in 1732-1735. 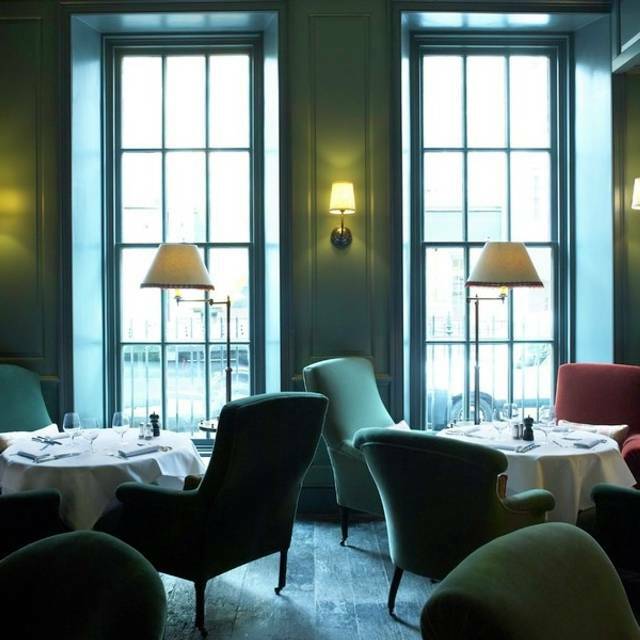 The dining room and bar combines vintage armchairs, contemporary British art, wooden floors, and a open fire in the parlour. 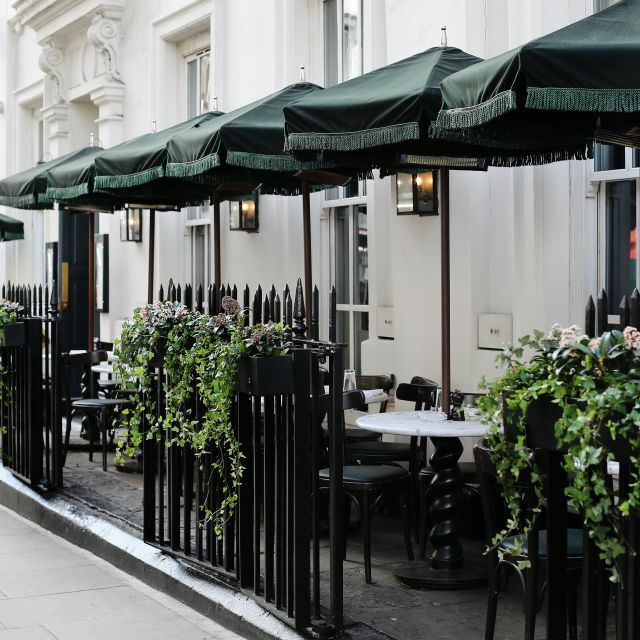 with a menu that incorporates British favourites for breakfast, lunch and dinner and afternoon tea, pre and post theatre. After visiting The Townhouse on many occasions we was very disappointed on this visit ,the table we was given was right next to the bar , it was so noisy you could not have a conversation, this was pointed out but was told that there was no alternative, our waiter was very unhelpful and not interested in us , the food took ages to come , the wine was in a cooler not on our table and had to keep asking for someone to serve us , many other restaurants that offer a better service . Great place, have come here multiple times to take visitors to a traditional afternoon tea. 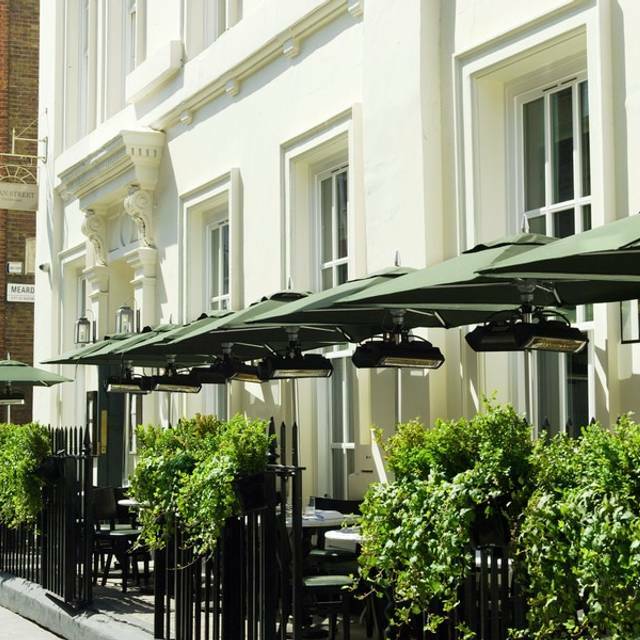 We were 4 lads in from the states looking for a fine Soho dining experience in London. Dean Street TH did not disappoint ! Will definitely be going back. Staff all lovely. Really enjoyed the food. Lovely decor. Had a lovely breakfast and really good value too, definitely worth a visit. Good food and pleasant ambience but this is NOT a restaurant for vegetarians. The only veg options are salads, which is a poor showing in this day and age. 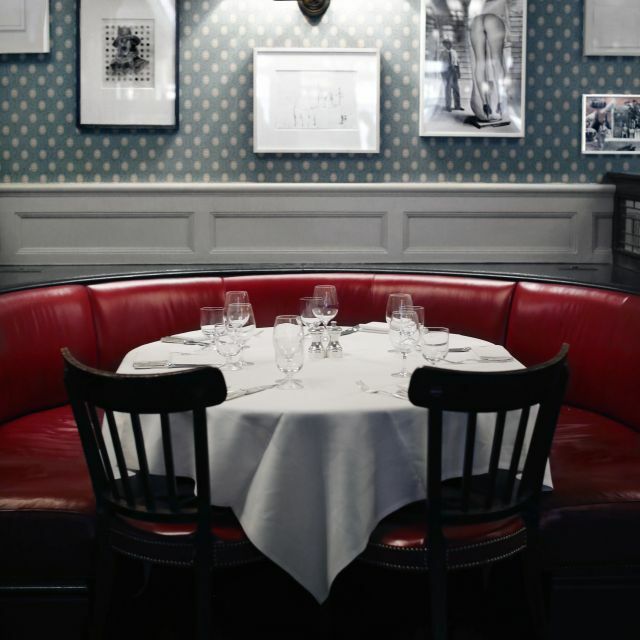 Great location in Soho for all-day dining of great British classics. Had the ribeye steak. Perfect. Service attentive polite and friendly. Ambience great. Loved it. Great place for an intimate lunch or dinner and the service is fab. Great service, great food, always consistent. Would highly recommended. So reliable and such a great place to have up your sleeve. Food was very good overall with excellent bread. Special praise for the haddock souffle and the chocolate trifle. The smoked salmon was great too. Lovely, friendly service and a good dining room with cosy feeling. Good place for lots of different occasions. Can feel casual and (quite) fancy too. It's not going to be winning a michelin star any time soon but it's extremely tasty food in a lovely atmosphere. Still has plenty of buzz even after a number of years and many newer shinier openings for scenesters. Food is consistently high quality, fairly priced. Drinks ditto, including several perfectly decent wines at under £30 a bottle. Average food on offer but nicely cooked, pretty decent prices. 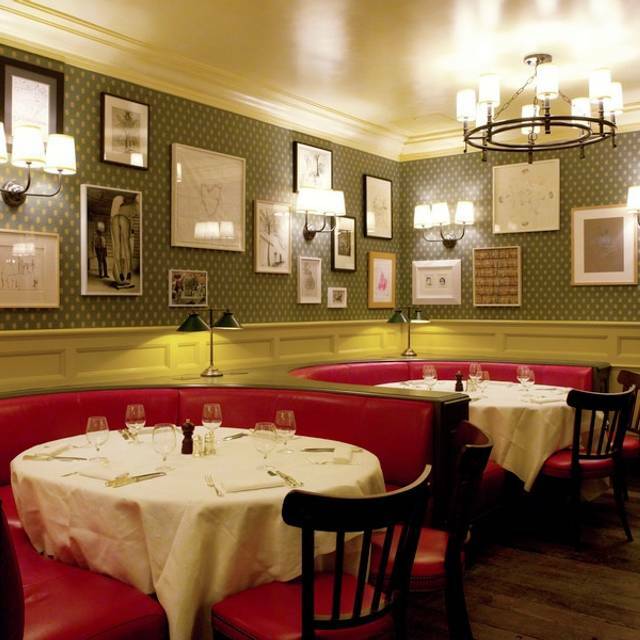 Very nice staff and good, buzzy soho atmosphere. We enjoyed an excellent three course supper from the Theatre Menu, with good service. The only minus was the high volume of noise from the diners and drinkers, which at times hindered conversation and drowned out the nice music. I would recommend you supply side plates. The sharing bread is lovely but once you have taken some you have nowhere to put it. You have to hold it in your hand to butter it. The table gets covered in crumbs which stay there until you finish your main when the waiter clears them. It’s just a bit naff and doesn’t fit with how well you do everything else. The staff were so helpful and attentive even though the restaurant was packed. It gets quite dark and loud towards the back of the restaurant so try and get a table by the windows at the front. The Sunday roast could have been better but the whole experience made up for it. 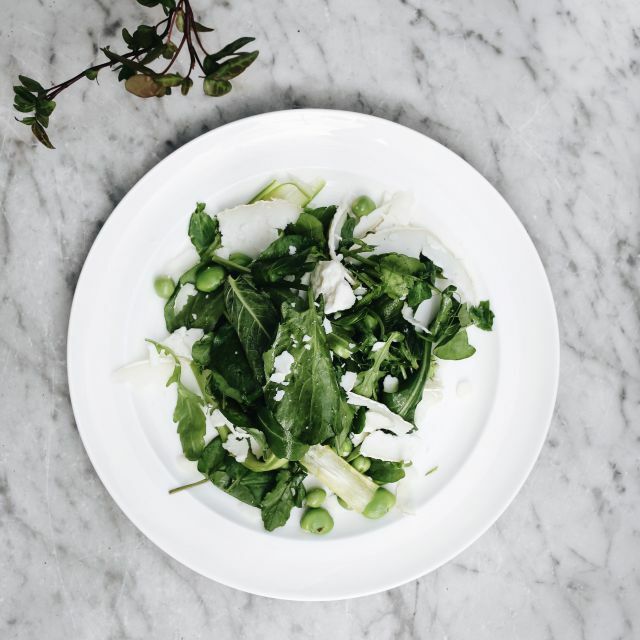 The setting is very pleasant, the food good without being outstanding - the side of spinach is very bland for example (I had fond memories of a side of creamed spinach here a few years ago). I was quite disappointed, when I thought that the juice I ordered would be freshly pressed, but it came in a plastic bottle from a factory. As the restaurant was not fully booked, the waiters (all charming) were maybe a bit at a loose end and service was a bit too prompt and our conversation was frequently interrupted, our plates cleared a bit too quickly making us feel a little like we needed to leave. All in all a good experience though. Outstanding as usual. Fantastic food and drink in a lovely setting. Good value pre-theatre menu, timely service. A bit noisy for me, particularly close the popular bar. Food was very average but service and cocktails were great. A pre-theatre dinner with family, I wasn't disappointed. What fab service, our waiter was so attentive * goes to him, the food was delicious and wine not bad either! Such a beautiful restaurant. Dover Sole was delicious as was the rib eye steak. Excellent service. Friendly and attentive. Waited 30 minutes to be seated at the table, with not much room at bar to wait with no apology. Level of service at table wasn’t great, wine split over table cloth with no apology either.. it’s a nice venue but could do with better customer service.. I really liked the place, food and atmosphere, however, the service at the table didn't do justice. Waiters served the wine from our bottle to other table and instead of offering a freshly opened wine served us with weirdly tasting replacement from half-empty bottle from the fridge. We were charged a full price. Nevertheless, I would recommend the place to friends since it is a lovely place. Was a shame as this was a surprise for my Dad’s birthday and I wanted it to be really special. We waited 30 mins to be seated. I had to be home to collect my son as was Sunday late afternoon and it therefore meant we didn’t have that long. No spoons or butter came with the tea and crumpets and we were given the bill with no candle and cake ( I had specified it was his birthday and watched several other birthday guests receive this treatment during our wait). Was a little disappointed sadly. Great atmosphere. Attentive service without being obsequious. Excellent steak pie. Food is good, but service is very chaotic on a Saturday afternoon. Constant interruptions to remove plates and cutlery even before we have completed the course, not re-filling glasses with water for all guests (only 2 out of 3 glasses get refilled each time). We had to be on constant alert to check if they were coming round to try and steal our unfinished food and cutlery! The salmon was half cooked. Ladies who took jackets for cloakroom were not friendly being front of house. 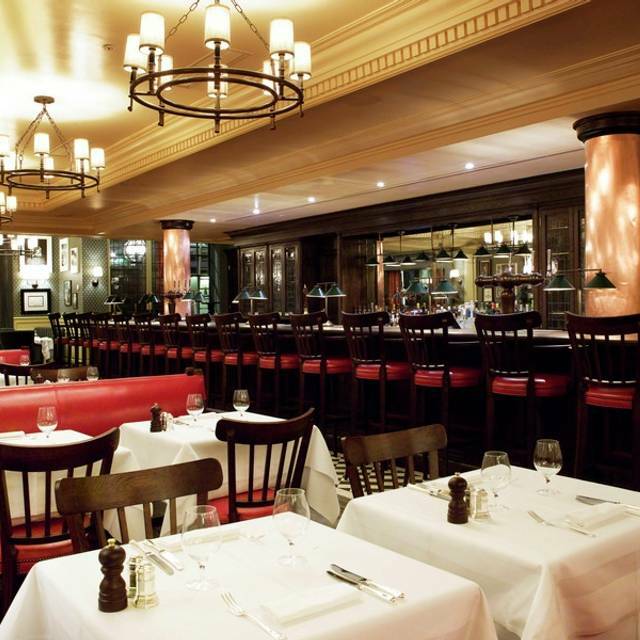 Went to Dean Street restaurant when it first opened the team was friendly and warm. Last evening was an eye opener. The service standards have really slipped underwhelmed. As usual - amazing. Incredible chopped salad fir lunch and a mushroom toast taken to another level. Great service.